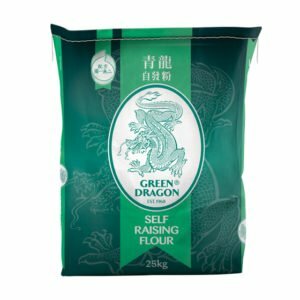 Green Dragon was established in the UK in 1968. 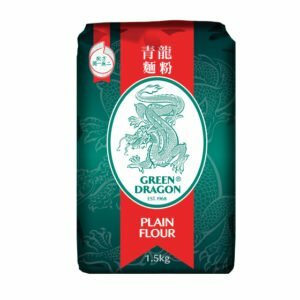 The brand represents a high degree of quality, consistency, and reliability which consumers have enjoyed for years. Green Dragon Self Raising and Plain flours are made from the finest wheat and, like the rice, have the highest quality specifications to ensure that the reputation is maintained. 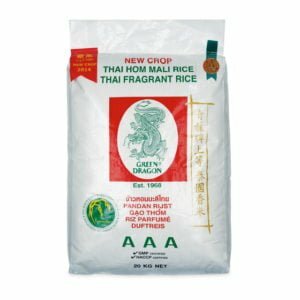 Thai Fragrant Rice (Jasmine) is an aromatic long grain rice grown in Thailand and consumed for many years as a premium rice in the UK. 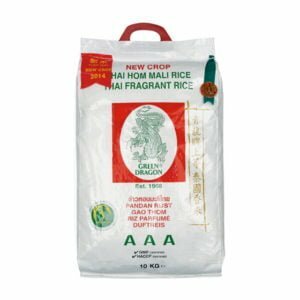 The timing of the purchase and shipment of this rice has to be carefully coordinated to guarantee maximum freshness and aroma. 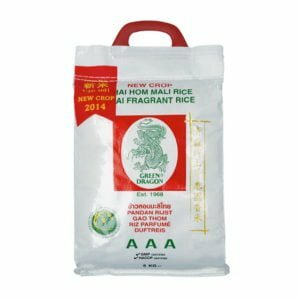 The popularity and reputation of this rice is increasing. 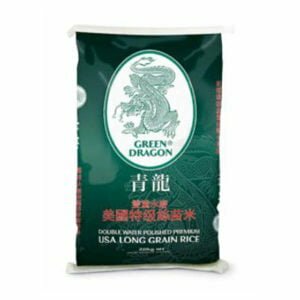 Green Dragon Premium Long Grain Rice is double water polished to ensure high quality. It is easy to fry and separate giving a soft texture when cooked. 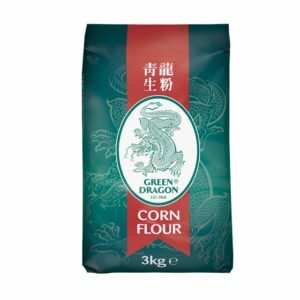 Heat the oil in a wok or frying pan until very hot, then add the spring onions and stir-fry over a high heat for 1 minute. 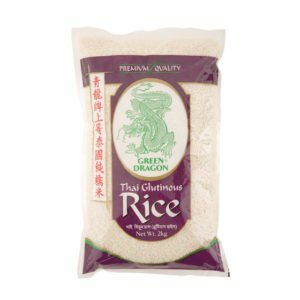 Cook for a further minute, then add cooked rice. Make a well in the centre of the rice and pour in the eggs. 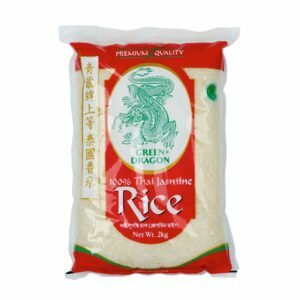 When the bottom starts to set, scramble the eggs, then stir through the rice. Stir in the soy sauce and sesame oil and season to taste.